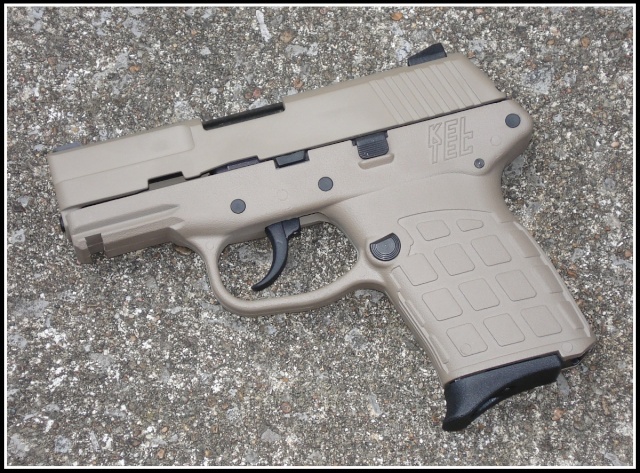 The Kel-Tec PF-9 is a 9 mm caliber, recoil operated, locked breech, double action only, semi-automatic pistol based on (and sharing many parts with) Kel-Tec’s earlier P11 and P3AT models. 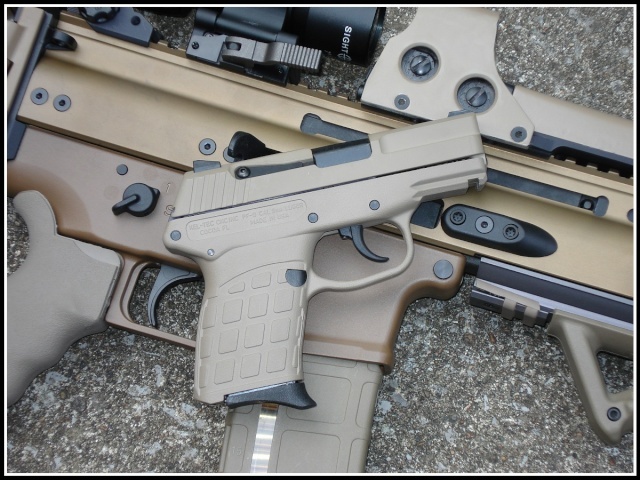 Kel-Tec claims the PF-9 is the flattest and lightest 9 mm pistol ever mass-produced. 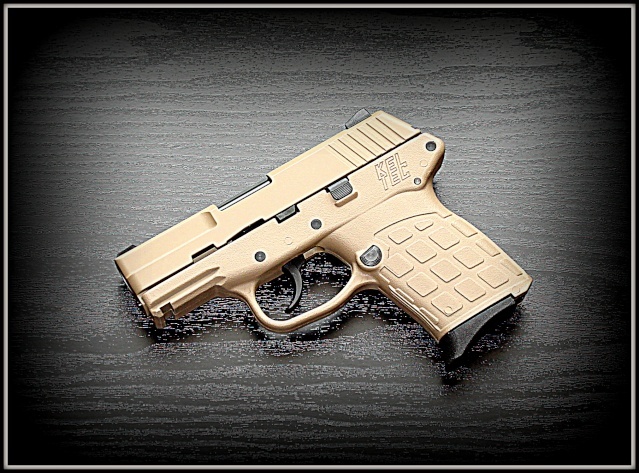 It was designed as a concealment and backup weapon for law enforcement and for civilian concealed carry. 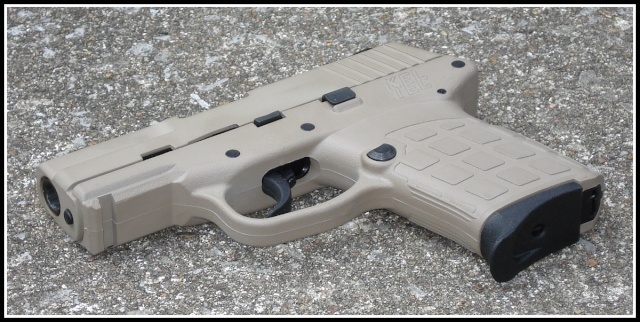 Kel-Tec first released the PF-9 into the market in the fall of 2006. 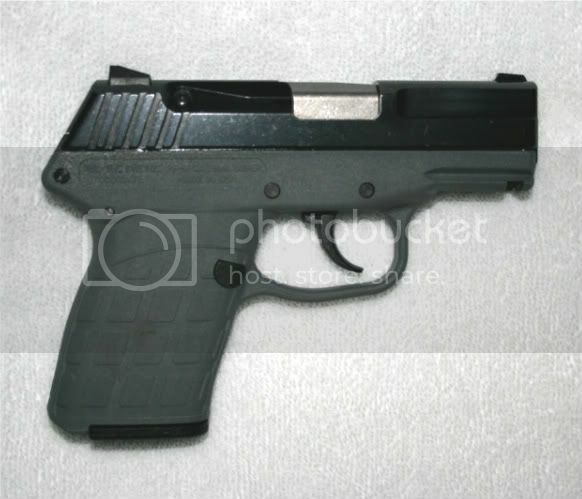 The P-32 operates on Browning's short-recoil principle. The barrel travels a short distance rearward while locked to the slide and the rear is then tilted down and unlocked from the slide through the action of a cam slot. The slide then continues rearward under inertia, extracting the spent case from the chamber and ejecting it. 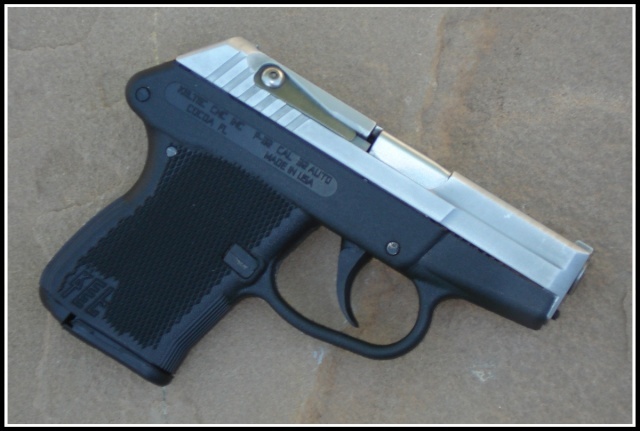 This design closely follows the Browning Hi-Power design. After the slide reaches the limit of its travel, the compressed recoil spring moves it forward again, stripping a new round from the magazine into the chamber. 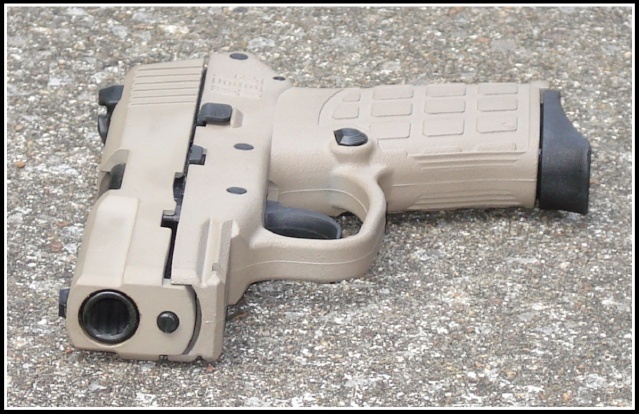 The cam slot and take-down pin move the chamber upward and the locking lugs on the barrel reengage those in the slide. 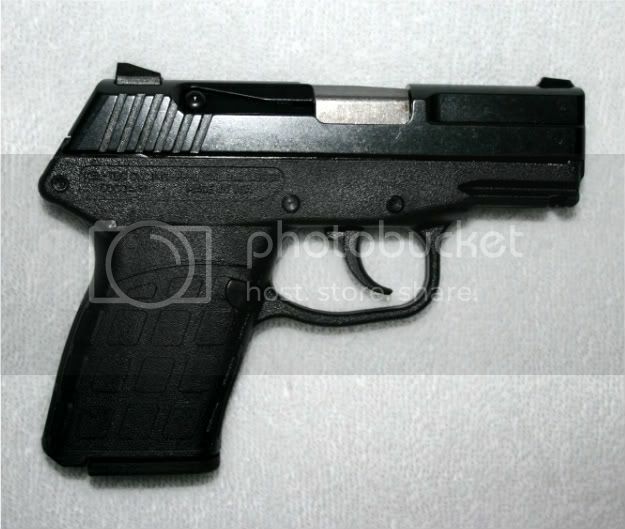 Kel Tec first released the P-32 in 1999. The PF-9 pictured above also has a Laserlyte Subcompact FSL-1 (v1) Laser attached. "We live in a society of wolves. You do not fight back by creating more sheep." It's cool. I like this one looks like a derringer. There's no place for the weak on this earth. Weapons like collapsible police baton are created to be used. Nice Brother...can't wait for the range report !! 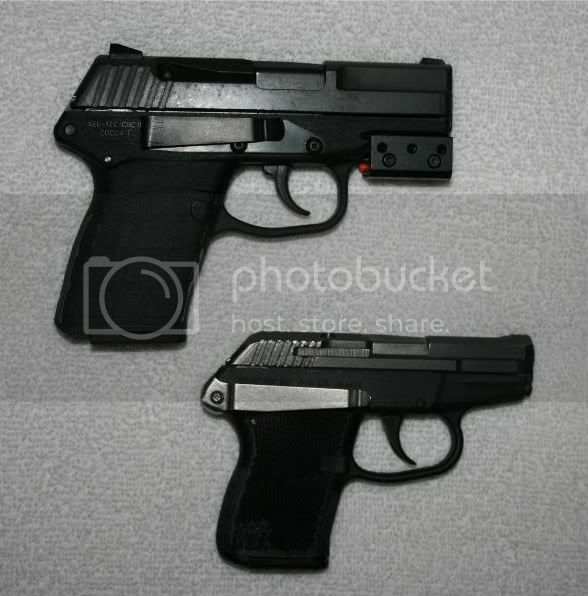 Those P-32's are sweet little shooters...excellent for pocket carry !! ...also like the new PF-9 SNIPER !! Here are the Kel Tec PF-9's that I bought my wife and daughter for Christmas. So who got which color? Thanks Bro !! The wife liked the solid black and my daughter loved the two tone. Both were extremely surprised that morning !! I bet they were. Nice work!